Cairns Caravan Accessories is located in beautiful tropical North Queensland, on the doorstep of the Great Barrier Reef. Cairns Caravan Accessories strive to meet the needs of our local, national and international caravan, camper and motorhome travellers, from within the same premises of Sharplift Marine and Industrial. 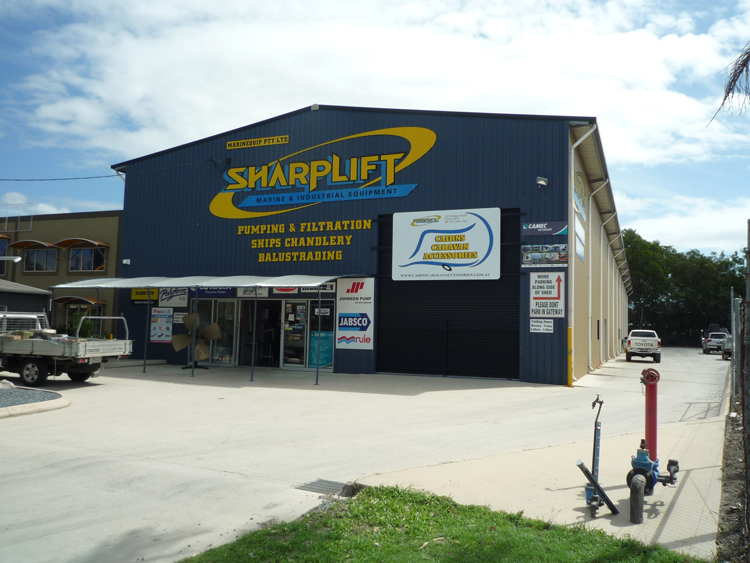 Sharplift has been servicing the marine industry since 1985, and has been growing and diversifying successfully into other areas to meet the needs of our customers, many who love to fish, camp and enjoy the outdoors! It was this common interest that lead to the decision to open another business to cater to the camping families, Grey Nomads and weekend warriors of Australia. With a product range that includes air conditioning units, fridges, RV toilets, stoves, retractable awnings, BBQs and weight distribution systems ( to name but a few), Cairns Caravan Accessories only stock the best quality products at competitive prices. © 2015 Cairns caravan accessories. All rights reserved.